In the age of streaming entertainment, it can be hard to leave the couch. But movie theaters still offer a special experience for those willing to get out of the house. Want to see what's out there? Check out this week's lineup of acclaimed movies showing on the big screen in and around Pasadena. Read on for the highest rated films to catch, based on review aggregator Rotten Tomatoes' Tomatometer Score, which reflects the opinions of hundreds of film and television critics. With a Tomatometer Score of 97 percent and an Audience Score of 94 percent on Rotten Tomatoes, "Spider-Man: Into the Spider-Verse" has been a must-watch since its release in December of 2018. The New York Times' Lawrence Ware said, "This film manages the delicate feat of embracing its source material while also satirizing it," while David Sims of the Atlantic called it, "The latest entry in a fully saturated genre that somehow, through sheer creative gumption, does something new." Get a piece of the action at ArcLight Pasadena (336 E. Colorado Blvd.) through Thursday, Feb. 28. Click here for showtimes and tickets. Set to be released on Friday, Feb. 22, "How to Train Your Dragon: The Hidden World" already has a Tomatometer Score of 96 percent on Rotten Tomatoes. "'How to Train Your Dragon: The Hidden World' brings the franchise to a close with an affectionate chapter that continues the adventures of the Viking boy-turned-chief Hiccup (Jay Baruchel) and his faithful dragon Toothless," noted Jake Coyle of the Associated Press. In the mood for popcorn? It's playing at ArcLight Pasadena (336 E. Colorado Blvd.) through Sunday, March 10. Click here for showtimes and tickets. With a Tomatometer Score of 94 percent and an Audience Score of 64 percent on Rotten Tomatoes, "The Favourite" has garnered plenty of praise since its release in December of 2018. The New York Times' A.O. Scott said, "Weisz and Stone are both brilliantly witty and nimble, but Colman's performance is nothing short of sublime," and the Atlantic's David Sims added, "Despite its period setting, 'The Favourite' just might be director Yorgo Lanthimos' most trenchant and relevant work yet." The film has earned 10 Oscar nominations, including those for Best Picture and Best Lead and Supporting Actresses. Get a piece of the action at ArcLight Pasadena (336 E. Colorado Blvd.) through Wednesday, Feb. 27. Click here for showtimes and tickets. 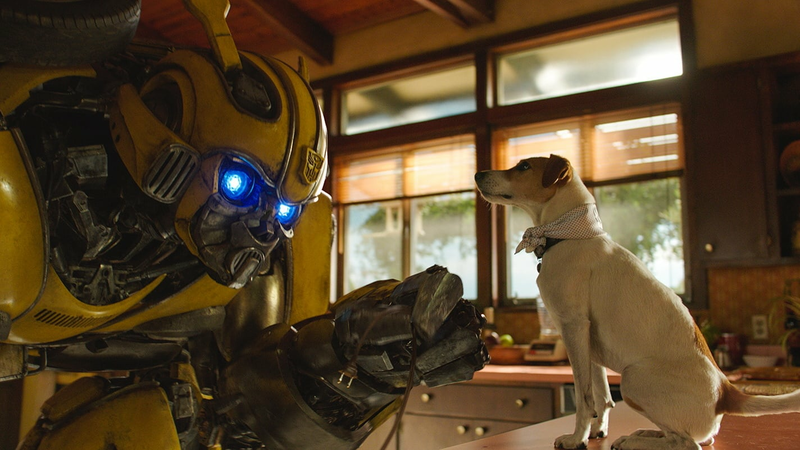 With a Tomatometer Score of 93 percent and an Audience Score of 78 percent on Rotten Tomatoes, "Bumblebee" has garnered plenty of praise since its release in December of 2018. ReelViews' James Berardinelli said, "The movie works in large part because of the depth of Steinfeld's performance. We haven't seen such a well-realized character in any of the other 'Transformers' movies." David Fear of Rolling Stone summed up, "Imagine if John Hughes made a 'Transformers' movie. Or: Think 'E.T.,' but with auto parts." It's playing at Regency Academy 6 Theater (1003 E. Colorado Blvd.) through Thursday, Feb. 28. Click here for showtimes and tickets.